Are you about to move into a new house and you’re not really happy with its level of cleanliness? Or, have you come to the end of the lease agreement and would like to get your cleaning deposit back in full? Then take advantage of our complete and deep one-time move out cleaning services in Des Plaines IL and all surrounding areas. 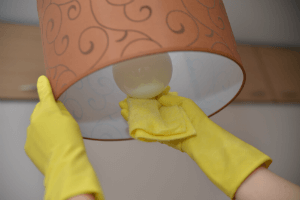 Our move out cleaners have all the necessary know-how and experience to get rid of dirt, dust, cobwebs and more from every premise in the property with ease. There will be no scrubbing, polishing, vacuuming and mopping left for you. You’ll just have to arrange the furniture and feel at home when moving in. Or simply wait for your landlord’s inspection the very next day and get your security deposit back when moving out. Moving homes is quite stressful on its own and so many people are not very fond of the whole situation. One thing that’s really annoying is you have to do the move out cleaning right in the middle of the entire relocation. The most appropriate way to resolve this issue is to hire a team of professional move out cleaners, while you spend your time packing and arranging furniture transportation. Or sometimes you see a house for sale or rent that looks ideal for your family with only one issue – it wasn’t cleaned by the previous owners or renters. Then take advantage of our thorough one-off cleaning services and make a bargain for the property’s price. Our fully insured move-in cleaning teams will arrive with all the necessary equipment and green cleaning products to ensure a dust-free and spotless home for you.